With a population of over than 1.4 billion, China is one of the largest consumer markets in the world. Every day, thousands of products and clothing purchased are made from its knitted fabrics. 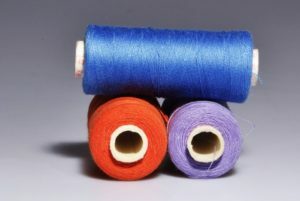 In May 2018, more than 200 textile machinery manufacturers compiled their statistics into a survey and thus, according to the 40th annual International Textile Machinery Shipment Statistics (ITMSS), released by the International Textil Manufacturers Federation (ITMF), the country has experienced strong growth in global deliveries between 2016 and 2017: long-staples spindles, short-staple spindles (up 21%), and open-end rotors (24%). Number of draw-texturing spindles and shuttle-less looms that were shipped increased by 23% and 13%. Stagnation of deliveries of circular knitting machines (up 0.12% in 2017), and finishing machines in the “fabrics continuous” category fell by 2%. Increase of shipments of new short-staple spindles for the first time since 2013 (around 1.65m spindles). The study shows that the six largest investors in the short-staple segment in 2017 are: Bangladesh, Pakistan, China, Uzbekistan, India, and Indonesia. As the world’s largest investor in short-staple spindles, China sees a jump of 34%, while deliveries to Vietnam and Bangladesh fall respectively by 39% and 33%. Shipments to Indonesia surged 135% year-on-year. Deliveries to Iran soar by 445% from 11,000 in 2016 to 59,000 in 2017. Global shipments of long-staple (wool) spindles raise by 46% from around 114,000 in 2016 to nearly 165,000 in 2017. Another interesting fact? 30% of long-staple spindles go to Europe while the majority are shipped to China (68%). In 2017, global shipments of large circular knitting machines rose by 0.12% to a level close to 28,000 units. Asia was the world’s leading investor in this category, accounting for 84% of the total. With 39% of worldwide deliveries, China was the single largest investor. India and Vietnam ranked 2nd and 3rd with 2,000 and 5,1000 units. Deliveries of electronic flat knitting machines soared by 44% to around 202,000 machines in 2017. Asia received the highest share of shipments (96%), with China by far the world’s largest investor with a year-on-year increase from 101,550 units to 154,850 and global share of 76%. In the segment of continuous fabrics, shipments of mercerizing-lines, singeing-lines, and stenters increased in 2017 by 54%, 11%, and 2% respectively. In the discontinuous fabrics segment, jigger dyeing/beam dyeing machines fell by 7% whereas those of shipments of air-jet dyeing and overflow dyeing machines increased by 35% and 72%, respectively. The FDI (foreign direct investment) of the Chinese textile industry hit a record in 2016, with a rise of 89.3% year-on-year to US$2.66bn. By the end of 2014, more than 2,600 Chinese companies had opened textile and apparel production facilities in more than 100 countries and regions (with most investment going to Asia) according to the Ministry of Commerce. During the year 2016, China produced more than half (54.8%) of the world’s fiber and fabric, its textile exports were worth US$106bn and accounted for 37.2% of the global total. The country also exported apparel worth US$161bn, giving it a 36.4% share of the world market. The Chinese government has recently put in place initiatives such as the 13th Five-Year Plan for the Textile Industry (covering the period from 2016-2020) and “Made in China 2025” which are showcasing value-added manufacturing and automation. In return, this supports the investment into upstream textile plants.